When it comes to having a successful business, your gadgets can have a lot to do to keep you going. It seems like everyone, especially businesses, is getting on the gadget bandwagon, from tablets and smartphones, to ipods, and even netbooks. You can really make these things work for you if you know what apps to have on them to help boost your business. 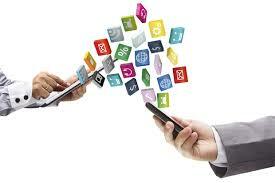 Apps for social media sites are extremely handy for businesses. This way you can keep in touch with your social network from the road, or wherever you are. This is especially important for businesses using business specific social media, like LinkedIn. If you run a business page through your personal Facebook, you can also download a specific Facebook app that will allow you to keep up those individual pages, right from your phone or tablet. No need to open a browser at all. Whether your business uses PayPal, or you’re a traditional banking type of business, you can have apps on your phone that help you keep track of your money, no matter where you are. You might even be able to take photos of checks in order to deposit them. Pretty cool, right? Talk to your bank, and take a look at their app, to see what all they have to offer. You’ll, at the least, be able to check your balances and be notified when checks clear and when deposits are available. From Google Docs and beyond, you can work on your next presentation, write a memo, or organize your photos. You can download items from clients, you can even save your own PDFs and send them to people when you need to share something. You may also benefit from having a notes app of some sort on your phone or tablet. You may also want to find out if that app has talk-to-text available. This way you can talk to your device to take messages, even if you’re on the road driving. This not feature or talk-to-text may even come in useful for recording meetings. Who needs a separate handheld recorder anymore? Texting and talking on the phone aren’t the only ways to communicate. And, when it comes to your tablet, how do you get a hold of the people you need to for business? Well, you download some important apps. Apps you may want are ones for the email service you use, like Gmail or Yahoo. If you do a lot of communicating through social media, you may want the Facebook Messenger app. Do a quick search in your app store and you’ll be amazed at all the options for app communication.